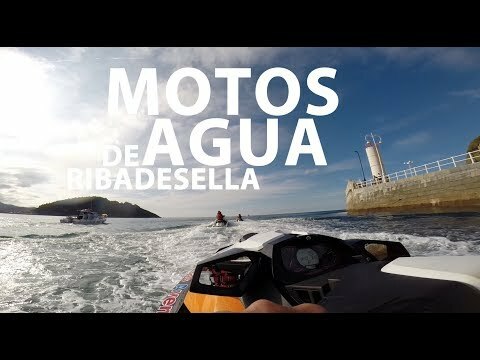 Ribadesella is land of adventures. A privileged scenario to start dreaming expeditions. The growing development of companies and activities of active tourism I adventure sport, its gradual specialization and professionalization, allows you to enjoy a wide range of adventures in nature. A package of activities that is difficult to find in other parts of Spain. Nowadays, after a careful restoration, these panels can be enjoyed in all their splendor. The riosellano coast is exceptional and magical, seen both from the top of the cliffs and at the foot of them, flush with water. 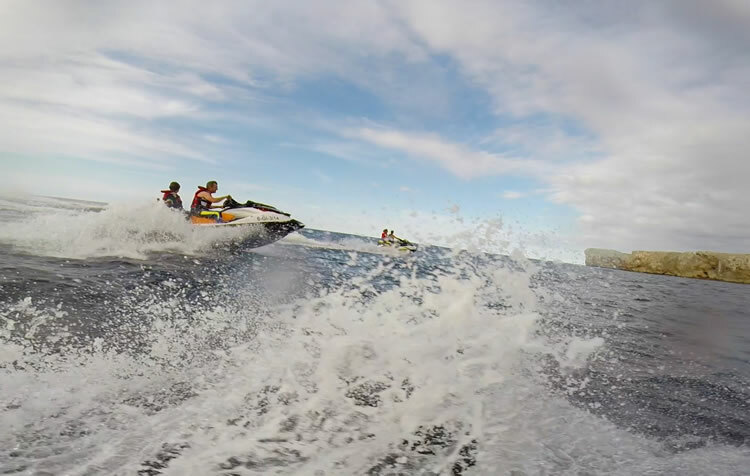 The route increasingly demanded in aquatic bikes, allows us to enjoy the speed of this aquatic activity and at the same time it takes us into amazing sea caves under the vertical walls of "The Cliffs of Hell". 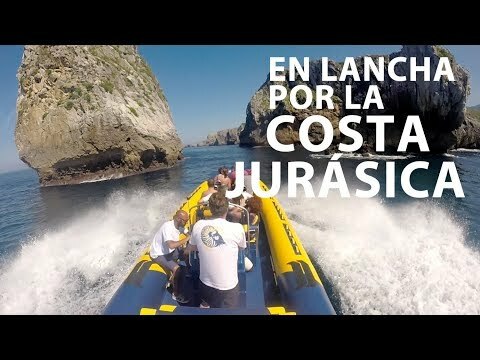 If instead of on a motorcycle we go on a speed boat of 9 meters in length called "Nautilus"The sensation is very different, the expedition is more comfortable and we will have free hands to portray those same cliffs and a good part of the Jurassic Coast of Ribadesella, with amazing islets on the road, coves and underwater caves. This steep coast and its steep stone coves or "pedrales", facilitates another activity on the rise. The Coastering, which consists of progressing through the steepest sections of the local marina. 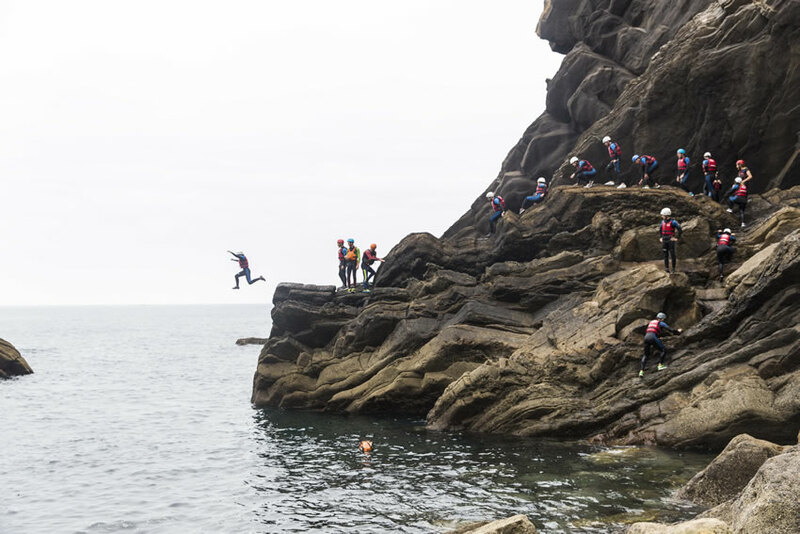 For this we will use different techniques such as walking through blocks and rocks, swimming in the sea or in natural pools, jumping into pools ... 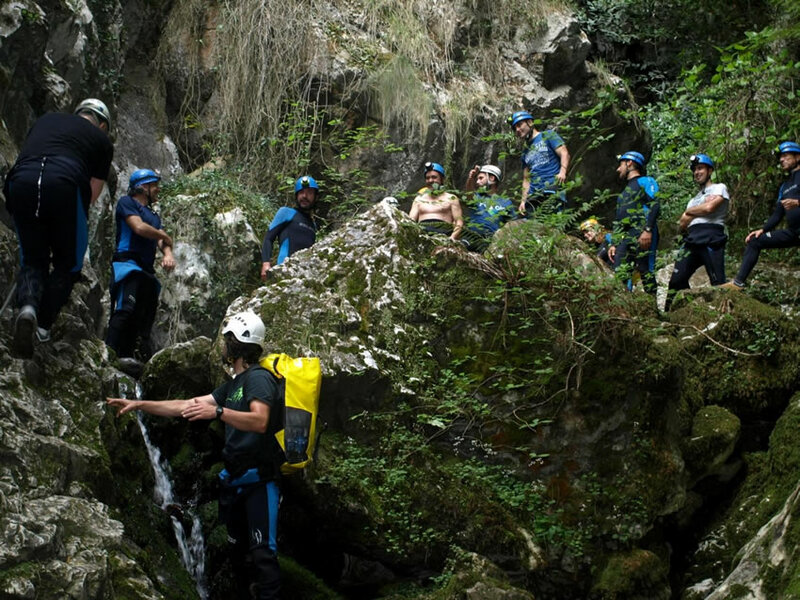 In some cases we will use techniques typical of the descent of ravines, being able to combine other disciplines such as climbing, zip lines, snorkeling, etc. If we change rocks by beaches, the large sandy areas of Ribadesella, such as the beach of Santa Marina and the beach of Vega, bring us another exciting water activity:The surf. In Ribadesella there is a long surfing tradition associated with these two beaches. Currently, companies specializing in this sector offer their own hostels for more economic accommodation, and offer different courses, lasting several days, adapted to all ages and the training requirements of each student. 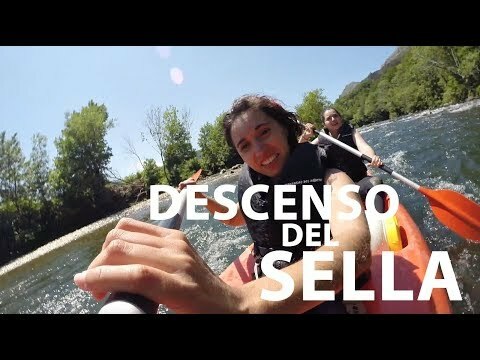 The Sella River is, without a doubt, the germ of active tourism in the whole region, and the Descent of the Sella is, perhaps, the most popular and most popular adventure activity in Spain, with hundreds of thousands of fans from all over the world. It is a canoe tour that we detail this link. And if yours is the engine you can enjoy one with automatic transmission where we only have to accelerate to advance and a speed of recoil to make maneuvers easier. We talk about the routes on quads. We will drive for an hour on suitable paths on the cliffs towards the famous Bufones de Pría, and enjoying the sensation of speed and unforgettable views. For the practice of caving, Ribadesella also has a caves unique in its kind, the Cave of Tinganón, which crosses the mountain from side to side and leaves us at the foot of the Monte Mofrechu, the Santianes mountain range and the beautiful Peme valley, which is ideal, in turn, for hiking tours.